It was a hot, dry summer this year in the American Southwest. In farming communities in the Four Corners region where Colorado, Utah, Arizona and New Mexico share a border, water supplies have been scarce. And during dry times like these, some people are willing to do just about anything to get more water, including stealing it. From member station KUNC, Luke Runyon has more on a local man who's known as the water cop. LUKE RUNYON, BYLINE: One morning a few years ago, Dave Huhn got a call. The woman on the other end was frantic, screaming as she watched her 82-year-old husband in the yard. DAVE HUHN: And he was being beaten with a shovel by his 86-year-old neighbor. RUNYON: The fight was over water. One of the men accused the other of taking more than his share from their irrigation ditch, leaving less for everyone else. HUHN: You had two old-timers that were very stubborn and very hard-headed. And they were bound and determined to do it their way. And the other party was saying, no, you won't. 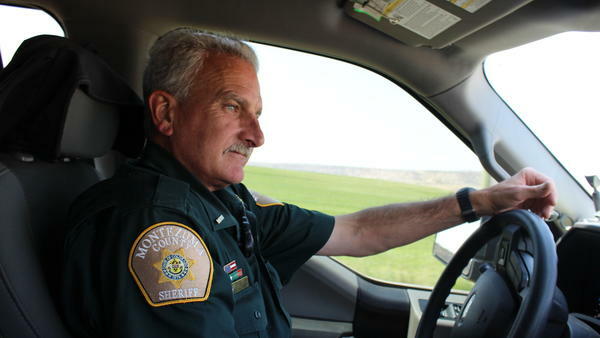 RUNYON: Huhn is a sheriff's deputy in Montezuma County, Colo., in the Four Corners. Tasked with enforcing the state's complex water law, he's probably the only deputy in the state with this kind of job, making sure water goes where it's supposed to. HUHN: We've seen some really inventive ways this year for stealing water. RUNYON: So how did they do it? Well, one method - drop a pump into an irrigation ditch; turn it on. And if you don't have the water rights to do that, it's a crime. Method No. 2 - you have rights to water but not a lot. So you take more than you're allowed. RUNYON: Inside his black Ford pickup, Huhn says when he started handing out tickets for water theft, it didn't go over well. HUHN: First, people were shocked. They were like - you're kidding me, right? You're going to cite me over water? I was like, yes. It's a valuable commodity in this state. RUNYON: Seventy-six-year-old farmer Bob Schuster knows all about water thieves. 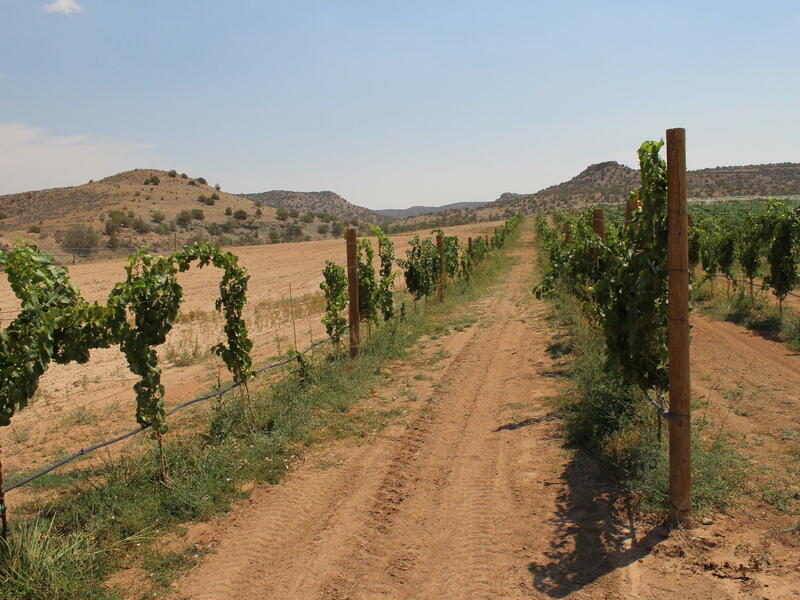 He grows wine grapes and hay and runs a plumbing supply store in the county's biggest city of Cortez. He's dressed in denim overalls, sporting a black and gray beard. Schuster says droughts make people desperate. SCHUSTER: People are basically - and these are good people - basically dishonest. RUNYON: Schuster's farm is at the end of an irrigation ditch with several users upstream. If they're taking more water than they're entitled to, it dries up before it reaches his crops. SCHUSTER: They look out their fields. They see they need water, and they take the water going through that's not theirs. RUNYON: And it's common for emotions to run high in these disputes. He says he's had guns pointed at him, shovels swung at his head and been sucker punched in fights with neighbors over water. UNIDENTIFIED PERSON: Sheriff's office - may I help you? RUNYON: Back at the office, Huhn says violent skirmishes have declined since the county started enforcing water law. But it's a fragile peace. HUHN: Historically, we've had people killed over water in the state of Colorado. We have in this county. RUNYON: Huhn is on patrol in a part of the country where climate change is likely to make water even more scarce than it is now. HUHN: We don't want the fighting between families and between friends. We want to be able to resolve it in a nonviolent way. RUNYON: And as his community dries out, Huhn knows he'll be spending more time, not less, keeping fights over water from blowing up. For NPR News, I'm Luke Runyon in Cortez, Colo.
(SOUNDBITE OF JEAN MICHEL JARRE'S "OXYGENE, PART 4") Transcript provided by NPR, Copyright NPR.